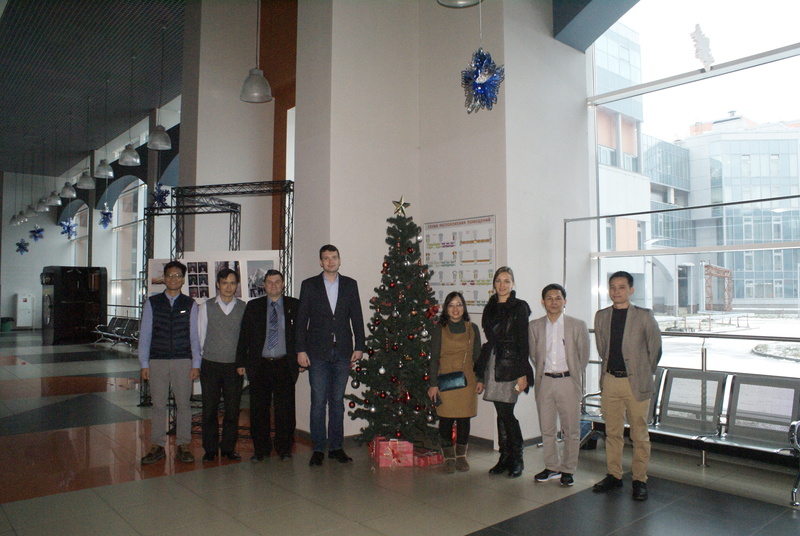 On December 18, SUT was visited by a delegation from the Vietnamese partner institution - the Institute of Technology of Post and Telecommunications (PTIT), Hanoi. The guests were received by the Head of Secure Communication Systems Department A.V. Krasov and Senior Lecturer of that department I.A. Ushakov. During the meeting they discussed the issues of cooperation in the field of joint training of bachelors in "Information Security" program and possibility of two diplomas issuance. For the members of the Vietnamese delegation, an introductory tour of the university was conducted with a visit to the Media Center research and educational center, the SDN programmable network laboratories, the Internet of Things laboratories, as well as the high-speed backbone DWDM system laboratories and program-controlled networks.